For humans, as for other animals, moving is of vital importance. We have to move to make sure we’ll get food on our plates, to run away from danger, and to produce offspring. Our brain directs and coordinates the movements of all the different body parts. It makes sure we will be making the correct move, with great precision, at the right moment. If our brain wasn’t so extremely good at its job, we wouldn’t be able to one moment pick a berry from a bush and put it into our mouth and the other moment, like a would-be Messi, shoot a ball with great precision past the goalkeeper right between the posts. In that same brain, our reasoning power developed much later during evolution. But still, nowadays, movement occupies the first place in the list of brain tasks. Even many of our cognitive abilities comprise some form of moving. We speak of mental processes for good reason. There’s movement in processes. Through the ages, our societies have become increasingly better organised. As a result, our need to move has decreased more and more. We have allocated the tasks necessary to survive. Now, for instance, we only have to go to the supermarket to get our food. We don’t have to work the land anymore to cultivate it ourselves, unless you are a farmer by profession of course. And the work we still do have to carry out, we try to make easier all the time, by using among other things fast means of transport, elevators, and video conferencing. So, large part of the day we spend sitting in stead of moving. And this is disastrous to our brain. After all, the brain developed into what it is now to be able to make our body move in the correct way. Understandably, our sedentary way of life causes problems within the brain. Equally obvious is the fact that those problems may be prevented or solved when we engage our brain in its primary task: moving. The importance of movement starts very young already. Babies and toddlers learn by moving. A child’s development of motor skills influences its capacity to read and to write and even its visual perception. The brain part that is responsible for our movements, the motor cortex, lies within the brain’s frontal lobes for good reason. The motor cortex borders on the prefrontal cortex, responsible for our reasoning power. The prefrontal cortex is involved in among other things planning complex behaviour, personality expression, and decision making. Within the frontal lobes, mental and movement tasks are performed simultaneously. That way, we are able to learn new skills for which we need our head as much as our hands. Also in the chemical field, moving and thinking are closely knit. The neurotransmitter acetylcholine (ACh) transfers signals from one brain cell to the next to eventually activate muscles. This same neurotransmitter is active in information transfer for cognitive processes such as learning, memory, sleep, and attention. When we move, more ACh is produced and becomes available for information transfer within the brain. Therefore you are more alert after exercising. It is also the reason why you are able to memorise things better if you go for a walk after learning. The intimate cooperation causes a great deal of overlap between thinking and moving. That’s why sometimes while riding your bicycle all of a sudden the solution for a problem may come to mind, even though you were not consciously thinking about the problem. Exercise is vital to all brain functions. It improves blood flow within the brain, which often deteriorates while ageing. Besides, it helps brain cells absorb glucose – the fuel they need to survive – from blood more easily. Aerobic exercise also increases production of growth factors, proteins that promote survival of brain cells. When we get older, our brain shrinks due to the fact that brain cells die. Several scientific research studies have shown exercise counteracts this loss of brain tissue. Thanks to the positive effects of exercise, new brain cells that come into being, will be included into existing networks more easily. 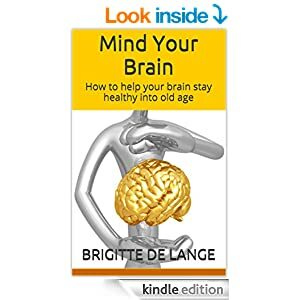 For example, elderly people who are physically fit, generally have a larger hippocampus – the tiny part within the brain that is involved among other things in memory function – than elderly people who hardly move. Because of that, they run less risk of dementia since a smaller hippocampus may be a measure for a more rapid development of dementia. Networks of brain cells of elderly people who exercise, have more and better connections. On average, exercise prevents or delays cognitive decline. Plenty of reason to get out of that lazy chair and put on your sports shoes! One of the brain’s most important tasks is to make the body move. It seems only organisms that change places – that move on – need a brain. An interesting example of this hypothesis is the tunicate. This organism lives in the world’s oceans and looks like sea anemones. The larvae of the tunicate swim around freely and look somewhat like a tadpole. They also have a brain. Having reached adulthood, the animals find a suitable rock and cement themselves in place. They will not move anymore for the rest of their lives. Apparently, they no longer need their brain. It will gradually dissolve and be digested. 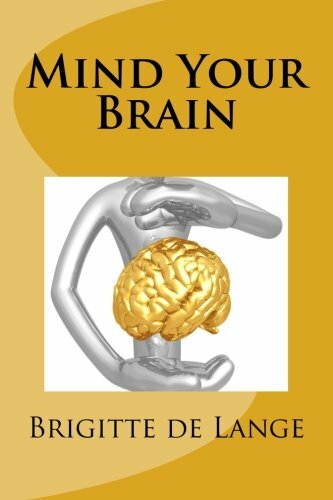 As the brain is so important in controlling movement, maybe it wastes aways and dies, because its owner is no longer moving. A more clear example of the importance of exercise to keep our brain healthy doesn’t exist!